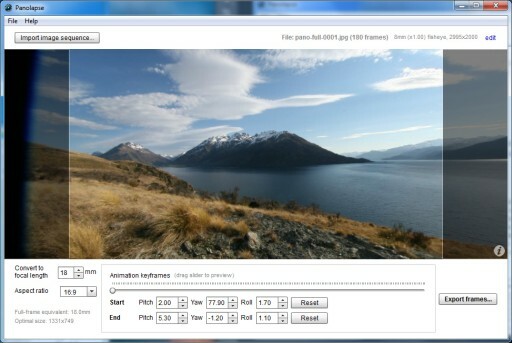 Readers on this blog know that I am a big fan off adding movement on time lapse footage. This can be done with motorized sliders, rotating pano heads and even a BBQ rotisserie. However those are sometimes hard (or expensive) to set up. If you are looking for “dirty trick” to add motion to a static time lapse you could to it in after effects, or you could check out the new boy in town – Panolapse. Panolapse works much like other panoramic viewers, only it does so while moving through a sequence of photographs, creating the illusion of a moving camera. In addition to the regular sliding movement, Panolapse corrects the wide angle lens distortion to create panning illusion, so it works best with wide angle lenses. The results are very interesting. 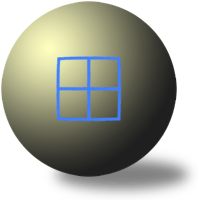 The program allows control over a all motion axis – Pitch, Yaw, Roll and Zoom. If you capture images at a higher resolution that the movie you are about to create (which is quite common if you only display at 1080HD), the loss of resolution could be negligible. Here is a sample shot at 14mm with a Nikon 14-24mm and reprojected with 24mm while faking some camera moves. 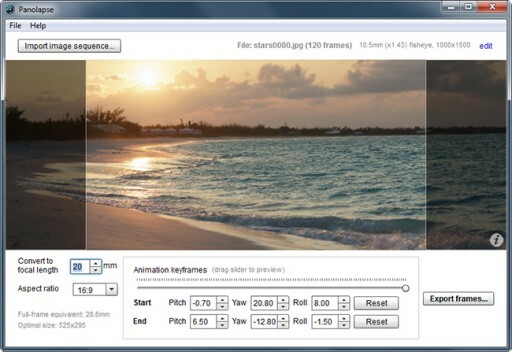 A free version outputs videos up to 1280×720, full HD and up will set you back $65. Extremely buggy. Previews big blobs, sometimes you can change the lens or the ratio, often not, no scrolling in preview (just jumps from first to last). Restart sometimes helps a little. Waiting for 1.1! Hi, this is the developer. Panolapse v1.05 releases this weekend. It improves the previews and adds a few features like zoomable animations. If you “drag” the animation slider, you can see the previews.